American poet and art aficionado, Thomas Merton said “Art enables us to find ourselves and lose ourselves at the same time!” This is also true for travel. How many times have you learned more about yourself by getting lost in a totally new locale and culture? Art and travel (and food of course) go hand in hand, that’s why, to celebrate World Art Day, we’re sharing some of our favourite art destinations from around the world—Join us as we take you from Chile to Spain with a few artful stops in between. You could do the Louvre or the Met on your next trip, but why not try something different? If you’re tired of long lines, crowded galleries, and stuffy museums… and love to be outdoors, check out Valparaiso, Chile or Göreme, Turkey. Both unique art destinations allow visitors to enjoy their art en plein air. Plus, these are two of the best holiday destinations for art lovers. Street art is everywhere in colourful Valparaiso, Chile. This bustling port town is sure to inspire art enthusiasts of all kinds with its large-scale murals and hidden masterpieces. 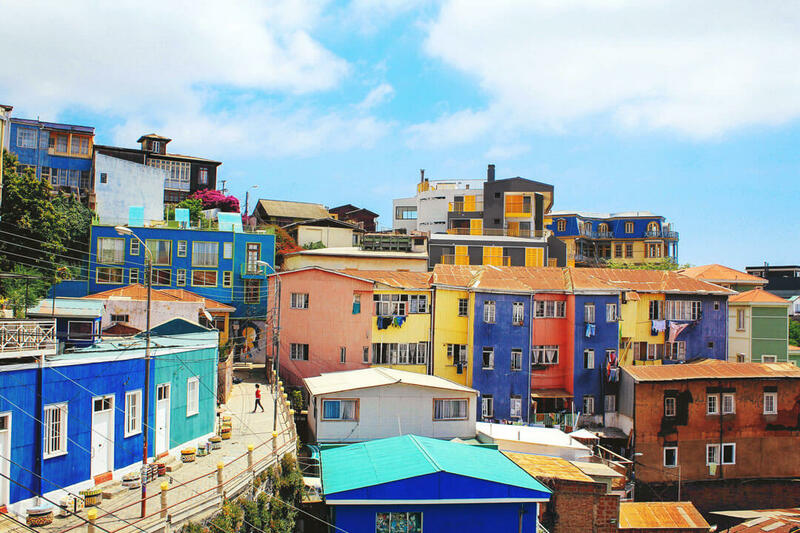 One of the most celebrated South American cities for street art, the bustling port town of Valparaiso provides endless inspiration for travelling art enthusiasts. Here, art feels as integral to the city as its epic hills, colourful homes and salty air. 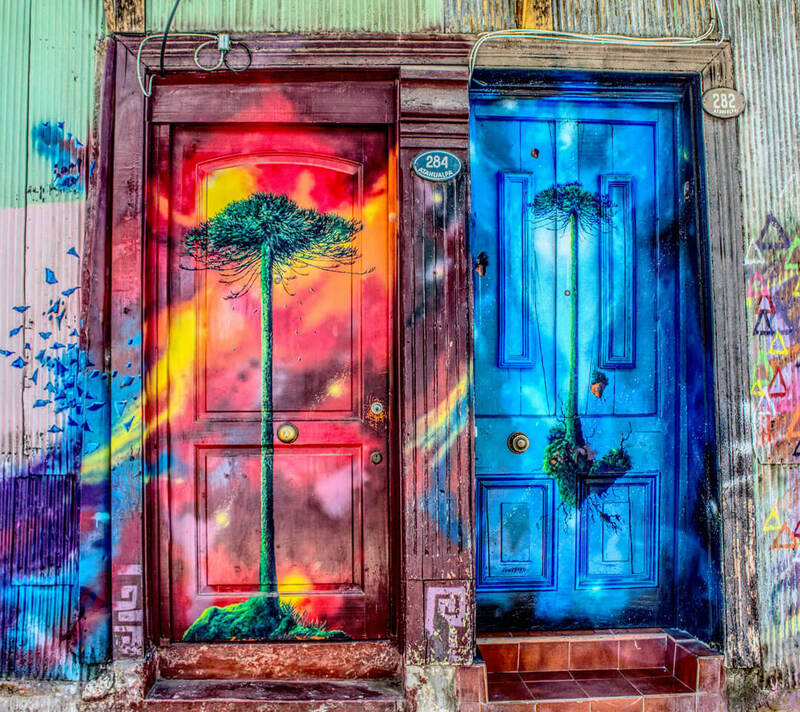 These bright doorways display one artist’s work to passersby. Keep exploring…you might discover a new masterpiece just around the corner! Often graffiti inspired, street art adorns buildings, stairways, doorways, fountains, and more. Peruse large-scale murals and stumble across hidden masterpieces, nestled amongst the city’s cobble stone streets. To get around, climb the city’s many staircases or hop on a rickety ascensor or funicular (elevator/vertical railroad for the uninitiated) for breathtaking views of the harbour. Looking for a place to start your own outdoor art crawl? Try Cerros Alegre and Conception. If you’re not into finding your own way, there are plenty of art walk tour options too. When you’re tired of walking, stop in one of the city’s many cafes for a frothy cappuccino, savory empanada or tart pisco sour…or go full out and explore the burgeoning restaurant scene! Rumour has it Valparaiso is enjoying a culinary revolution at the moment. See Chile in your future? Check out these ideas for where else to visit in Chile! This classic photo shows colourful hot air balloons suspended over the “fairy chimneys” of Göreme, Turkey. Among these unique rock formations lie over 30 ancient monasteries painted with colourful frescoes. 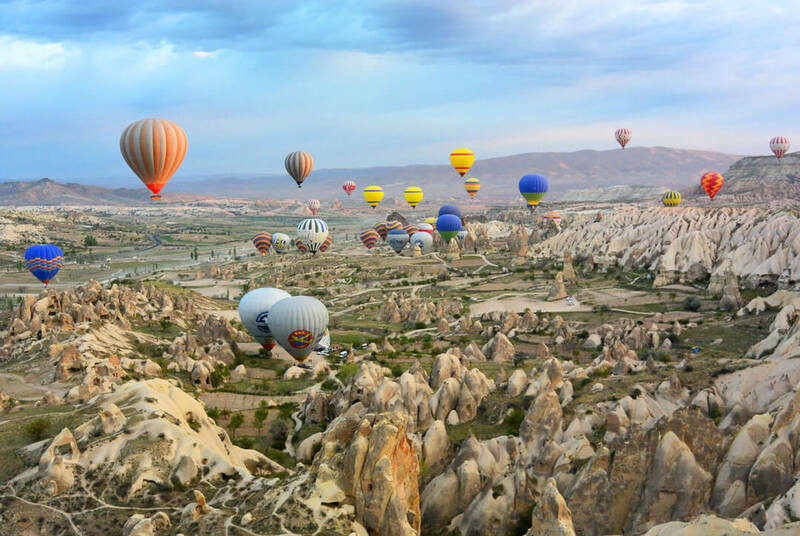 You’ve likely seen photos of Cappadocia, Turkey with colourful hot air balloons suspended over magical “fairy chimney” like structures carved into the soft volcanic cliffs (see above)…a backdrop for the perfect Insta pic. The magic is real! 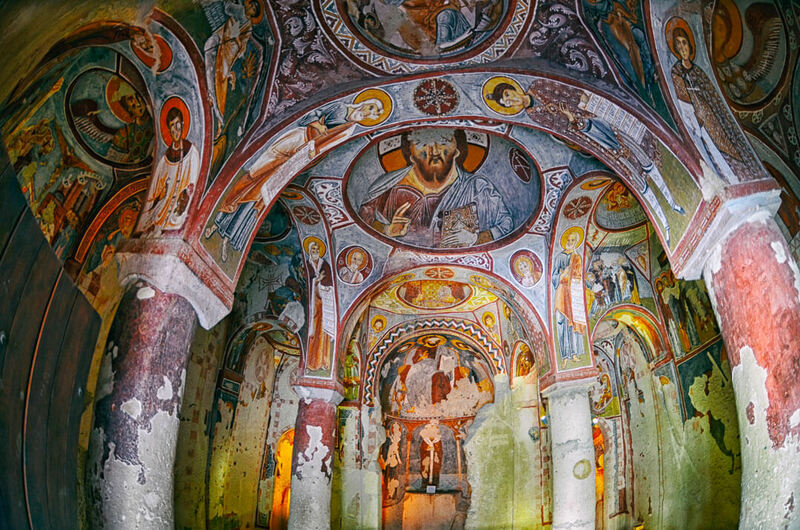 Göreme, is one of the region’s most visited destinations. Here, travellers can stay in bespoke cave dwellings and dine on Turkish delicacies, while looking out over the stunning otherworldly landscape. But Göreme has so much more to offer. This unique town is also home to Göreme Open Air Museum, a UNESCO world heritage site! Ancient frescoes adorn monasteries in the Göreme Open Air Museum. From the 9th to 11th centuries, inspired monastic communities carved more than 30 cave churches and chapels into the region’s towering volcanic rock formations, painting colourful frescoes inside. Today, visitors can experience these unique works of art by exploring the Göreme Open Air Museum. Want to get off the beaten path? Here’s an idea: Grab a handful of roof-dried apricots to snack on, get lost in the silent hills surrounding the town, wait-out a downpour in a long-abandoned cave, then stumble upon an ancient fresco-filled monastery with no crowds in sight…hitchhike back to town on a tractor, of course. Get more ideas for travel in Turkey here! Don’t just visit Naoshima, Japan for the world-class art museums and the epic Setouchi Art Festival, check out the fantastic beaches too. Justin recommends Naoshima, Japan and the surrounding islands during the Setouchi Triennial Art Festival, which like its namesake, only happens every 3 years. If you’re looking for an immersive contemporary art experience involving culture, local history, sightseeing, nature, food, music, island-hopping and so much more, this festival’s for you. Naoshima is an art mecca in the Seto Inland Sea. Visitors to the island are delighted to find interactive contemporary art installations, architecture and sculptures everywhere. Many of the island’s art pieces were installed by the Bennesse Corporation, which also overseas museums and installations on the smaller, neighbouring islands. But there’s more to the island than just art. 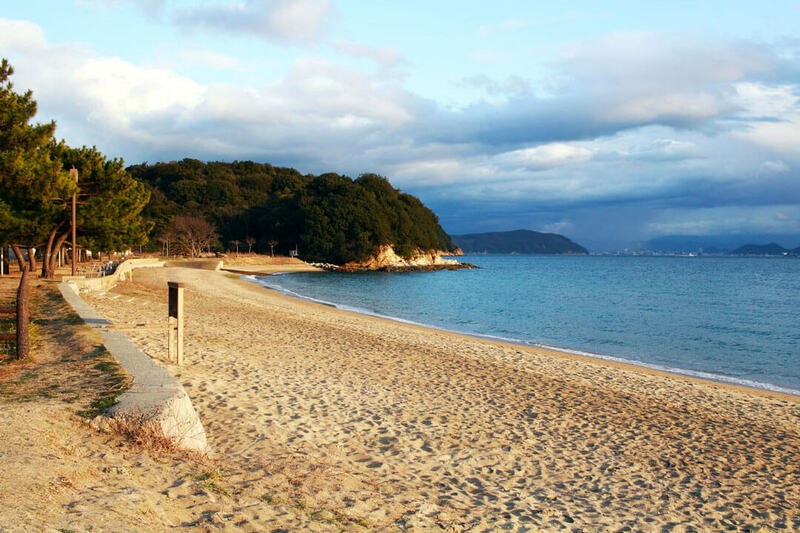 Naoshima’s also known for its sandy beaches, sunny weather and relaxed vibe. 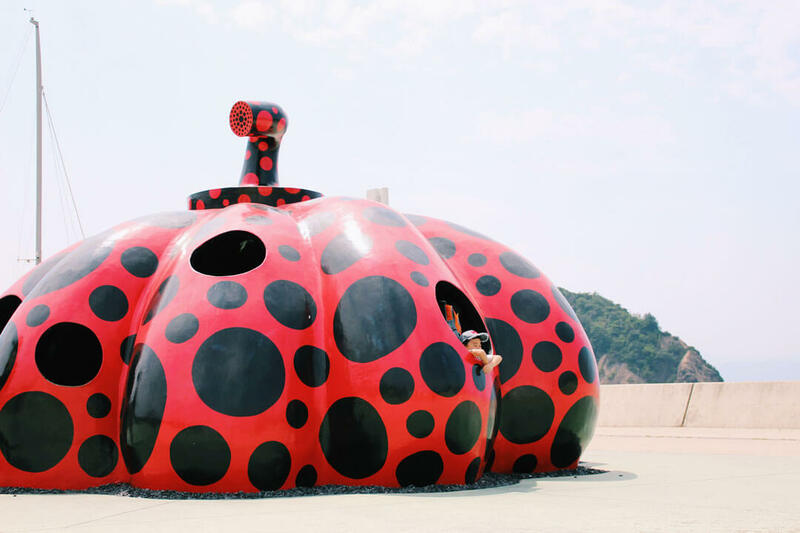 Although Naoshima is an art destination all year round, the neighbouring islands get in on the action during the Setouchi Triennial. 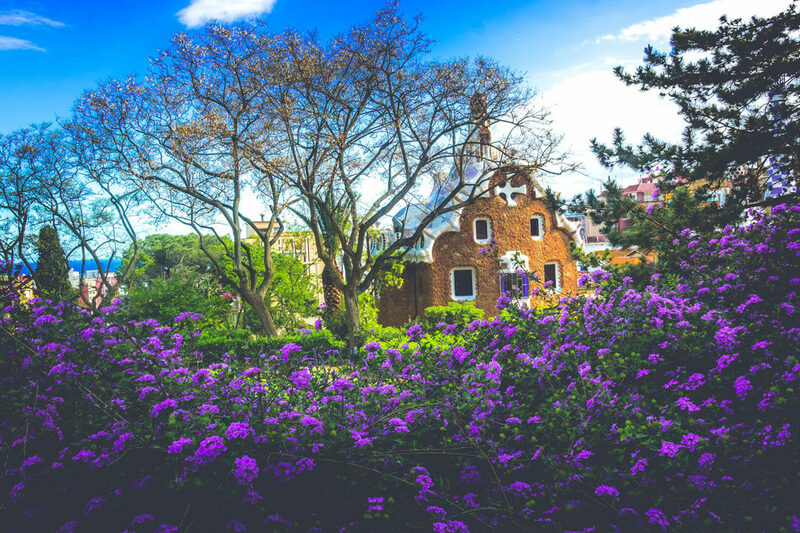 This year, the massive festival runs from April 26 until November 4, 2019 and is divided into 3 seasons: spring, summer and fall. Visitors can purchase passports for 1 season or all 3 seasons and will have access to all exhibits within that season. They can also buy 3-day ferry passes, allowing them to travel between 5 of the 12 islands participating in the event. If self-serve options are overwhelming, you can always book a tour! Gaudi’s iconic Park Güell is a must-see for visitors to Barcelona, Spain. Melissa has a thing for Spain…and for good reason! Of the m any places she’s travelled, she recommends Barcelona as one of the world’s best travel destinations for art lovers. 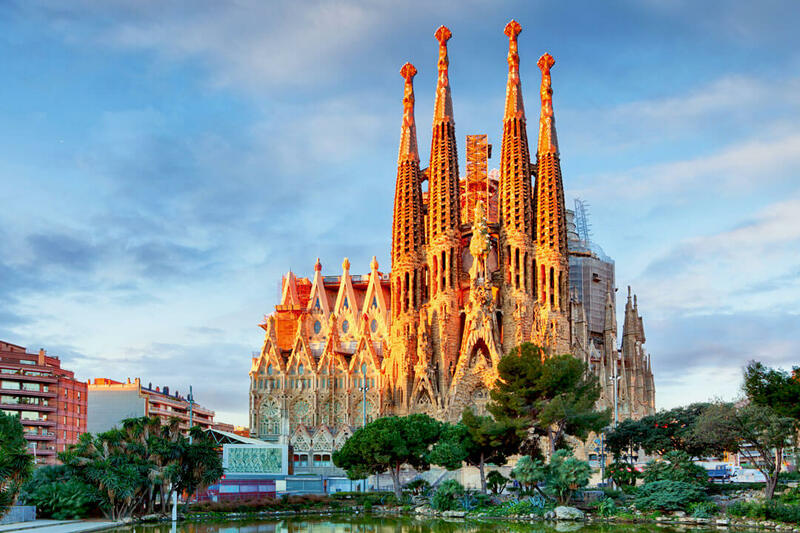 Read on to see why you need to head there and explore Gaudi’s quirky canvas too! There’s no denying Barcelona is a must-visit city for art lovers. Dotted with museums with names like Museo Picasso and Fundació Joan Miró, how could it disappoint? Whether you love a carefully curated museum or prefer your art al fresco, you’ll find inspiration in Barcelona. In 1900, Gaudi was commissioned to build a housing site on the El Carmel Hill overlooking Barcelona, but only two houses were completed. These buildings form the unique entrance to Park Güell– a UNESCO World Heritage Site consisting of gardens and architectural elements. The iconic Sagrada Familia is a must-visit work of art for any visit to Barcelona, Spain. Stroll through the grounds, find a bench in the sun, and marvel at the magical mosaic creatures surrounding you…people watch too if you’re into it! Gaudi masterpiece and major tourist attraction, Sagrada Familia Basilica, is a must -see too. Since construction began in 1882, the iconic cathedral has survived riots, strikes and the Spanish civil war. With its neo-gothic inspired spires and intricate religious sculptures, this still unfinished landmark is truly remarkable, both inside and out. We hope this little international art crawl has inspired you for World Art Day! Have any must-visit art destinations of your own? Share below in the comments!